Shortly after retiring from the federal government, Boulder City Council candidate Don Cote began volunteering to prepare taxes for senior citizens and low-income households. He begins taking classes in November to learn the new income tax rules and guidelines and then from January to April, he provides the free income tax service through the AARP TaxAide Program. Last year, the program that runs out of the West Boulder Senior Center filed taxes for 800 people, Cote says. He’s been volunteering for the service for the past decade. Professionally, Cote, who has bachelor’s and master’s degrees in electrical engineering, worked for the U.S. Naval Oceanographic Office for 15 years. He also worked for the National Oceanic and Atmospheric Administration’s (NOAA) National Weather Service. He moved to Boulder 35 years ago to work for NOAA’s Environmental Research Laboratories. Cote’s task at the time was to get scientists acquainted with new technologies, switching from teletypes to computers. In the 1990’s, Cote took a lead in integrating the Internet with the work that climate change scientists were performing. He worked to get different agencies to publish data sets online so that they could be available to the public, as well as other scientists. He was met with some resistance from scientists who had been working in silos and had exclusive access to their data. Cote became interested in running for City Council after he became opposed to the city’s municipalization efforts. He is the founding member of See the Light, a group that opposes the city’s efforts to form its own municipal energy utility. Cote argues that municipalization efforts are doomed to failure and will bring a high debt burden to the city. He believes his program management experience could be a benefit to the council. He believes the city would be better off investing in the purchase of renewable energy credits. Cote proposes a citizen’s “Green Challenge” initiative that could bring Boulder 50 percent green power by 2020 and 80 percent green power by 2050. As a resident of east Boulder, Cote says he and his neighbors are not represented on council. Cote says he wants the council to change to a district system so that Boulder citizens, like himself, are better represented. He says the group that typically is elected to council is more tied to the university, while those in eastern Boulder have more ties to business. Issues such as student housing have little effect on Cote and his neighbors. Former Boulder City Council member Ken Wilson says he is endorsing Cote’s campaign. Wilson first became acquainted with Cote through Cote’s anti-municipalization efforts. Wilson says Cote has brought a “thoughtful voice” to the municipalization discussion and exploring alternatives to approaching climate change. “I think he would be someone who could provide a different and needed perspective when it comes to municipalization,” Wilson says. Wilson also says that Cote could bring broader representation to Boulder. “The east side of Boulder has been under-represented for forever and that should probably change since the city has been growing more there,” Wilson says. Cote is married and has three children, Elizabeth, Jim and Joe; and four grandchildren. 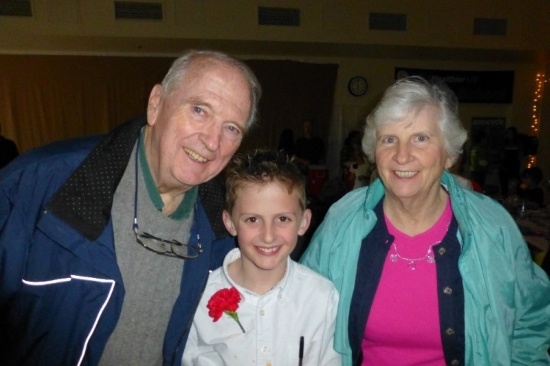 He and his wife Sara recently celebrated their 50th wedding anniversary. In his free time, he enjoys spending time with his grandchildren—who go to school nearby and come over when school lets out. He also enjoys taking his family out for sushi on Pearl Street.